During this year’s Super Bowl, Katy Perry baffled and endeared millions with an act that included a giant metal tiger, a floating star, and the real stars of the show, two blue dancing sharks. 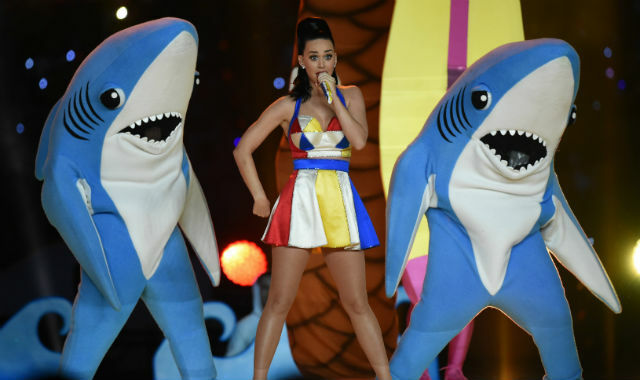 Particularly, the star of the show was the left shark, which fumbled his dance moves and won over the Internets. The shark that launched a thousand memes, the Internet exploded with left shark worship. Mashups, Twitter accounts, and more animated gifs and Vines than a cat convention. This is what the Internet does best, and not a single letter has been sent to those creators. But now Katy Perry’s lawyers may be showing us that we are about to enter a new era of copyright enforcement, not against memes, but against 3D print models. Florida-based designer Fernando Sosa has a 3D printing modelling company that specialises in prototypes. 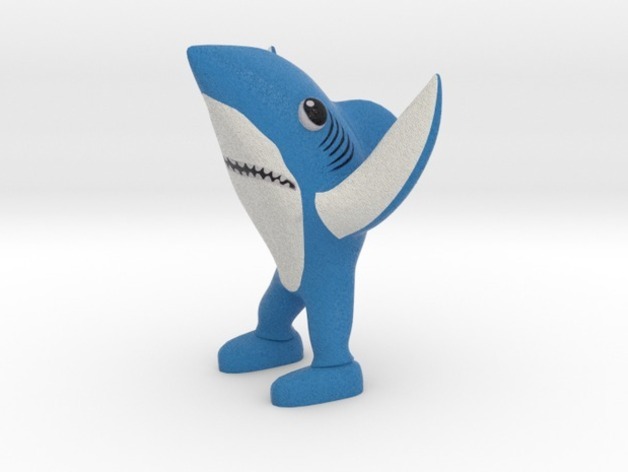 He quickly reacted to the left shark craze and created a model for a 3D printed left shark and made it available for sale in his shop (and now has been removed). The model is now freely available on the 3D printer design repository Thingiverse. This is a brilliant paragraph, I have no idea what they are claiming they own, or exactly which area of IP are they talking about. Are they claiming that they own the costume design? The dance routine? The video depicting the routine? The likeness of the shark? Even if we accept the contention that the shark is protected by copyright, that does not mean that Perry’s lawyers are correct in pursuing the model maker. Sosa did not take a picture, did not publish the video, did not upload the song, and he did not copy the dance routine. He created a model and then uploaded it to be sold. The legal question then is if the making of a model of a copyright work infringes copyright, and here we are in shaky legal ground. I am reminded of the famous Doctor Who knitting case, where the BBC sent a cease-and-desist letter to a fan who made available knitting designs to make an Adipose monster (which never made it to court). I am not a US law scholar, but it seems to me that this is a case that might fall under the transformative analysis in fair use doctrine (excellent article about it here). The relevant case seems to be Campbell v Acuff-Rose Music Inc (of 2 Live Crew fame), which defines transformative use as use that not only supersedes the original work, but also that it adds “something new, with a further purpose or different character, altering the first with new expression, meaning, or message”. Importantly, the commercial nature of the work is mostly irrelevant when it comes to such an analysis. In other words, if the transformative works creates a new expression and new meaning to the original, then it will be considered fair use. Needless to say, this all depends on whether a court will apply the transformative test as formulated. In my decidedly non-expert opinion, a 3D printed model is enough of a transformation in the expression to call for fair use, the model designer has to go through a considerable amount of work, not to mention skill and labour, to generate a new expression which can be downloaded and printed by others. We will have to keep an eye on this case. Kitsch dance acts. Sharks. 3D printing. Overblown copyright claims. This story hits the TechnoLlama sweet spot.